Kim Kardashian has been accused of having had a nose job. 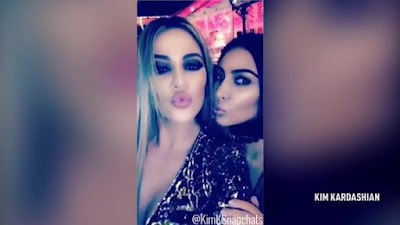 Kris Jenner’s daughter stepped out last night at a Christmas Eve party, showing off her cleavage in a plunging golden dress. She also debuted a lip ring in a video on her sister Khloe Kardashian ’s Snapchat. But her followers were far more concerned with her seemingly different nose than on her breasts. 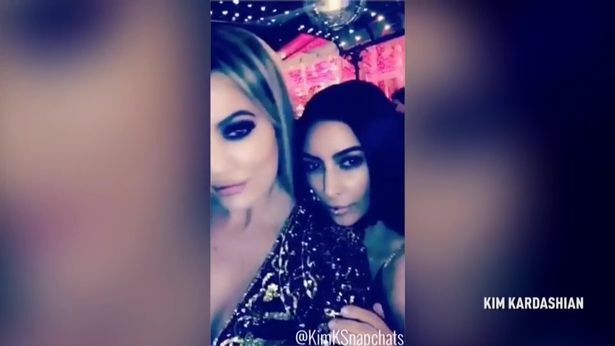 ast night's party in Los Angeles marks a turning point in Kim's recovery from her armed robbery in Paris back at the start of October. Since then she's been keeping a low profile, only wearing dark clothes and minimal makeup on the rare occasions she's left her home. There was no sign of Kanye West at the swanky do, although their three-year-old daughter North West was there, dressed to the nines in a designer dress.